I left work early today so I could get my new smoker set up and seasoned - priorities, you know! It is good to go now and I am looking forward to getting my brined turkey in the smoker late, late tonight to work its magic in the early hours of the morning. I will do a blend of Hickory and Applewood with a 2:1 ratio (2 Apple for each Hickory) and 3 hours of smoke. Then let the smoker get the IT to 165F. I may end up finishing off in the oven if it turns into a time crunch. I need to have it ready to eat by 2:00 pm, so I figure it will need to be FTC by noon at the latest to transfer to my sister's house and then have time to carve. 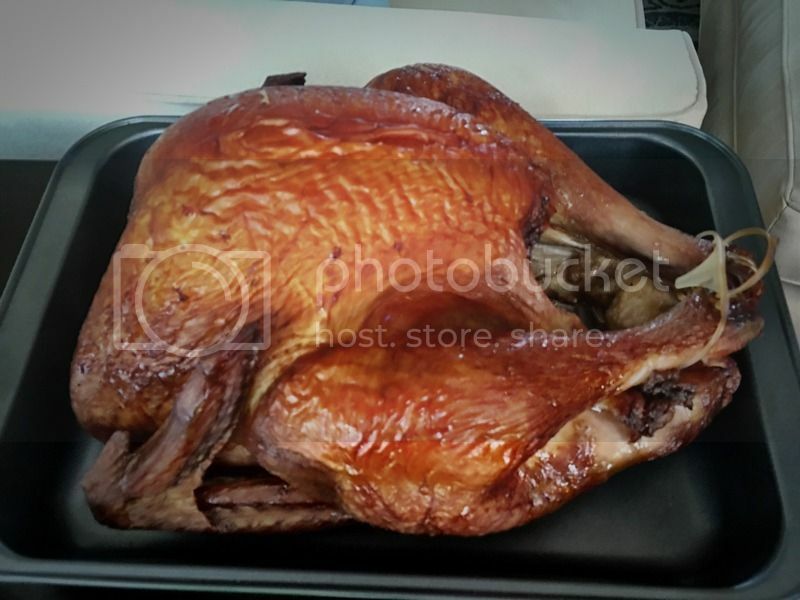 I used the tested and true old "Apple Cider Turkey Brined Turkey" brining recipe from NSXBill - that is my go-to brine for turkey. 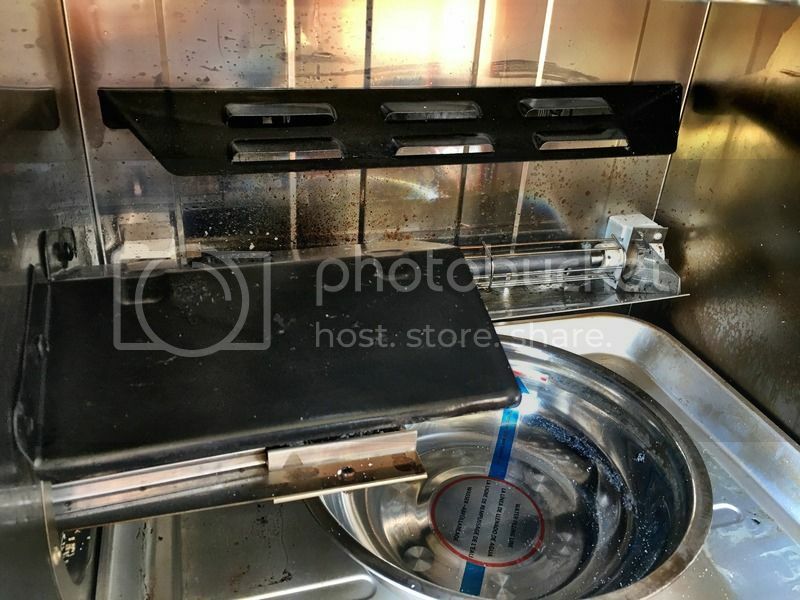 One thing I noticed and has me a bit disappointed with the new Smart Smoker - it only has the 500w heating element. 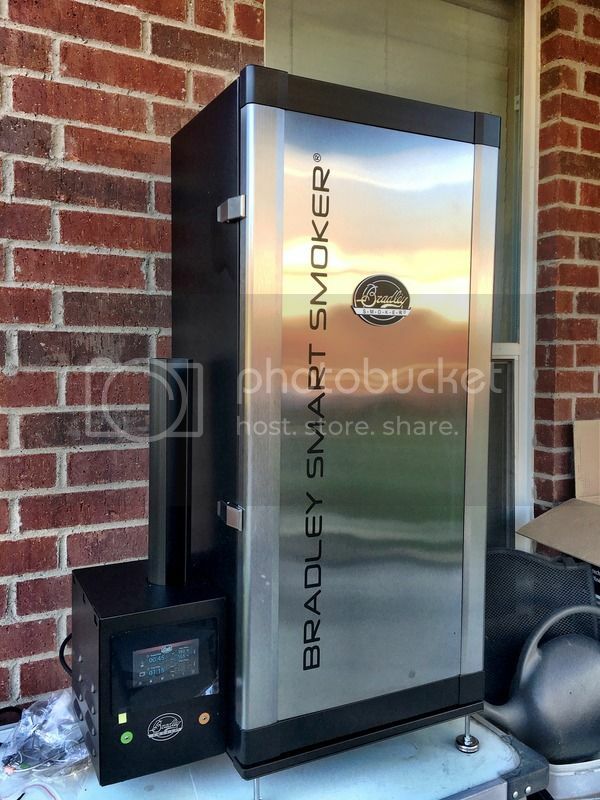 I thought after all these years they would finally bump up to at least a 750w element for the newest smoker model. But that is a bit nitpicky, I suppose. I will just use the foil-wrapped preheated bricks to help with the initial temp ramp/control. I will report back with the results of how the first smoke went and will try to get pics in the process. Here is the new smoker during the seasoning process. 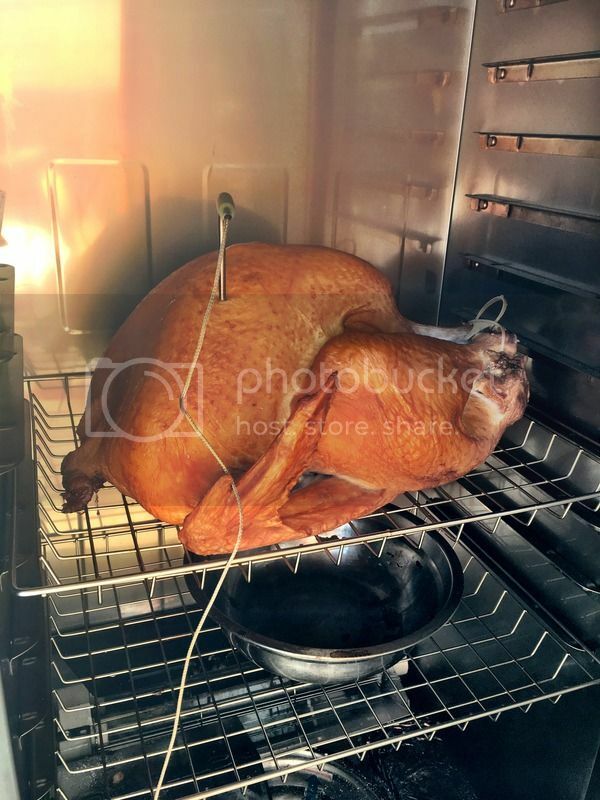 Looks good BigTex, I've never smoked an entire turkey so I'm curious how it turn out. Did you have difficulty making it work with your phone? Do you have Android or IPhone? If Android, what phone it is please? I'M asking because with Android phone, some people have hard time making work with their phone. OK I understand Me I have an android and I still wondering if I should buy this smoker because of my phone. I mean, I'M afraid that it won't work with my phone lol! I can't help but think that using your phone to control something is a bit on the bizarre side. Just because it can be done, doesn't mean it should be. My thinking on this got started with the new fad of using your phone as a remote for your TV. Can you imaging taking a phone call, then having to put the person on hold while you change the channel before your wife knocks you over the head? Or, worse, the person on YOUR phone wants to chat with your wife and she wanders upstairs for a private conflab leaving you watching a renovation show that you were watching just to be nice? The turkey turned out spectacularly. It was the best tasting turkey I have made. It may be from years of experience and improvement - not necessarily the smoker itself, though. 1. The temp did not drop nearly as quickly when the door was open, even with it being rather cool outside here - relatively speaking (about 50F). 2. 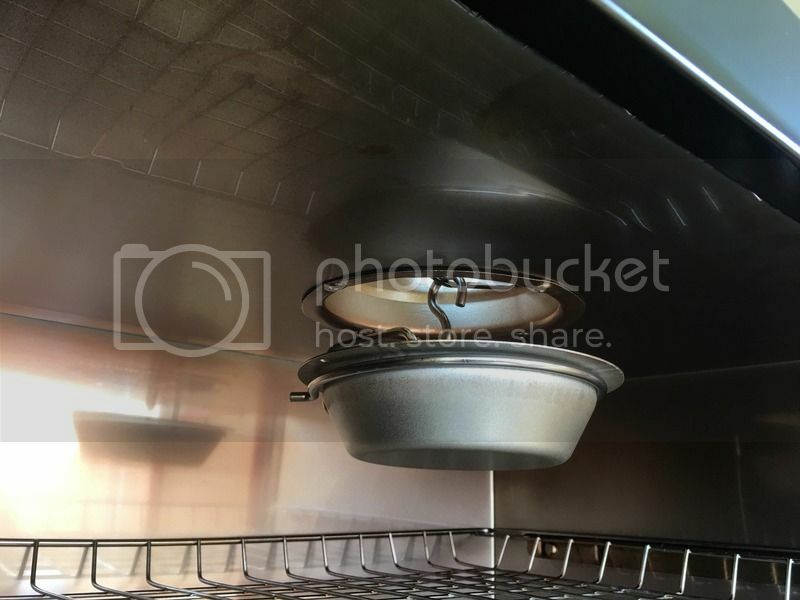 This smoker can get over 225F - which my OBS always had trouble with, even with a new element. I had it set for 250F. 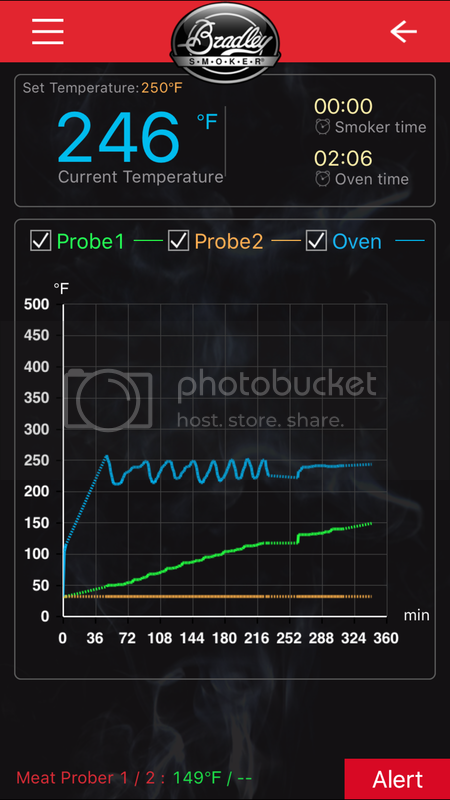 I believe you *can* control the smoker with your phone, but I used the app only for monitoring temps. The final product - it took about 7 hours to get IT to 165F. There is no V-tray in this. It has the inverted v 'hood' over the puck burner. It comes pre-installed, but can be removed for cleaning. 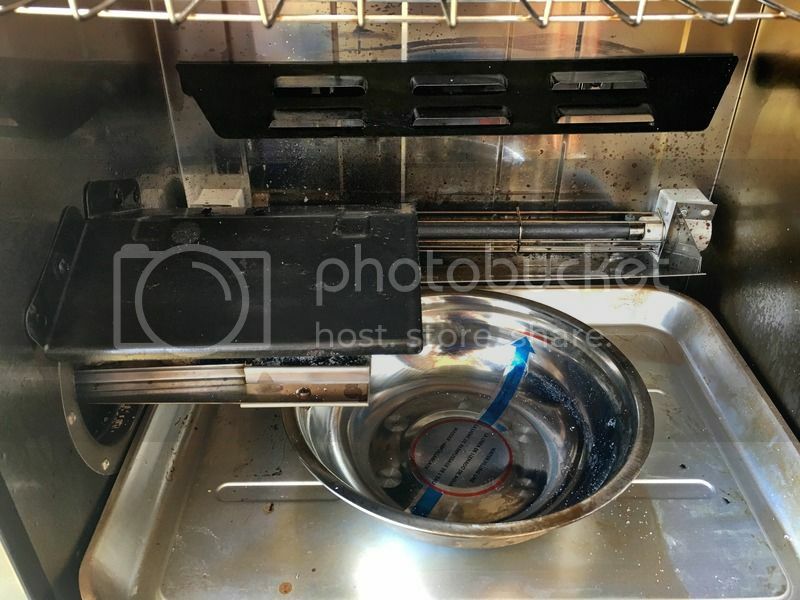 It also has a hood that protects the heating element from drippage. The third small 'hood' (for lack of a better word) is near the bottom of the door. The bowl on the top is for catching condensation from the vent so it doesn't drip on your food. It does not come pre-installed but is easily attached via an 's'-hook, which is included. I will get some pictures when I am at home. Sorry for the delay. I kept forgetting to take more pictures. 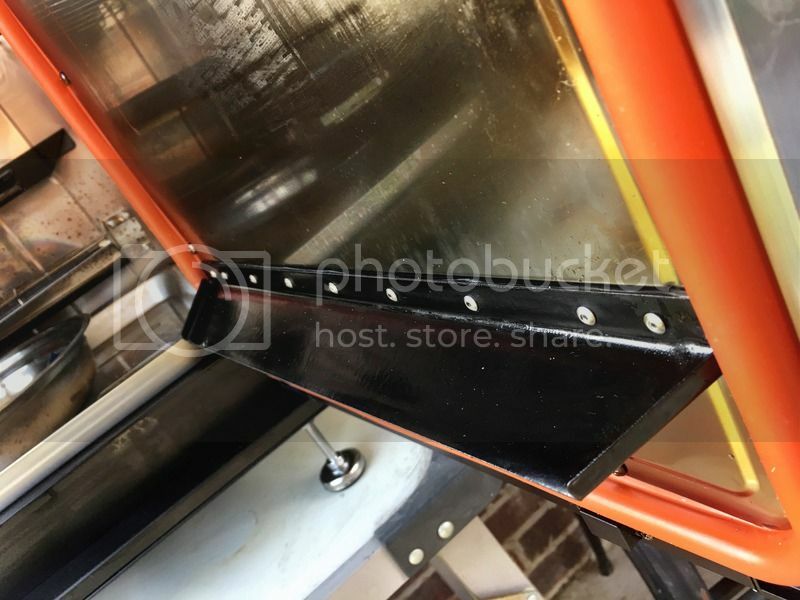 Here is the drip tray 'bucket' that hangs from the exhaust vent area. 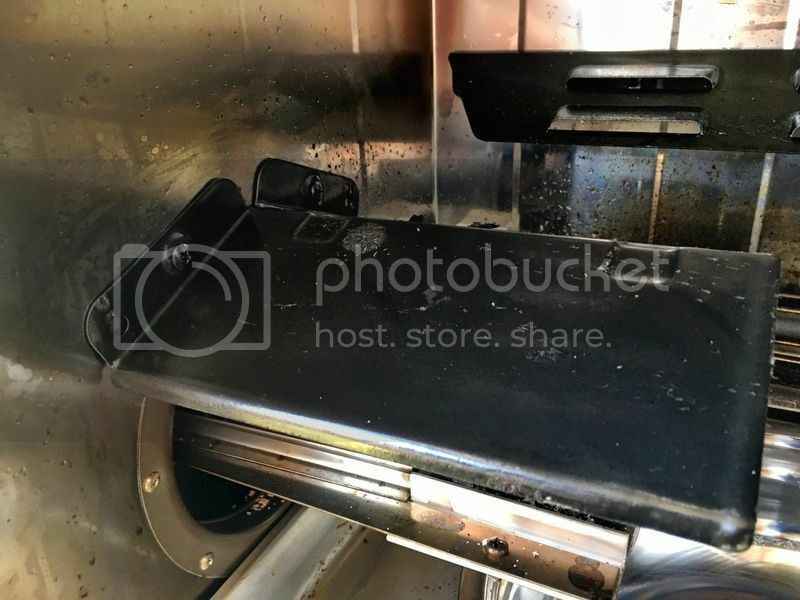 Here are the lower interior shots showing the inverted v over the puck burner and the one over the heating element. And here is the lower portion of the door. One more thing please BigTex71, How do you install and uninstall the V tray and the pucks protector please?